A weak pool jet is one of the most frequent problems for pool owners. If you ask a pool professional “Why are my pool jets not working?”, you may receive a blank stare and a pause. This reaction is due to the fact that we know the solution could be simple, but narrowing it down is time-consuming. We’ll separate the cause of low pool jet pressure into two parts. This will hopefully save you time from reading a section that doesn’t pertain to your situation. Part I will discuss low jet pressure when the filter gauge has a low PSI reading. In Part II we’ll discuss low jet pressure when the filter gauge has a high PSI reading. Some of you may be wondering what would be considered a low PSI. Anything lower than your normal operating PSI is considered low. For example, let’s say your normal operating PSI is 10-15. If your gauge is reading 5 PSI, it’s low. This would result in the pool jets not being as strong as expected. Unless you’ve recently lowered the horsepower or RPMs of the pump, low jet pressure is a problem and it needs to be corrected. The water level of your pool should be checked first. It needs to be at least halfway up the skimmer door’s opening. A low water level can cause a pump to take in air. This will not only decrease flow, but it will cause the pump to run dry and burn up. Empty the skimmer basket and pump basket of any debris. 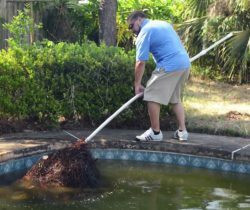 This should be part of the regular pool maintenance, but it’s a simple task that is often overlooked. A clogged basket can cause the pump to work harder as it tries to circulate the water. Again, this can result in damage to the pump. The most common reason for weak jets is an air leak. An air leak would come from the suction side of the system. This would be the area between the skimmer and the pump. One way to determine if you have an air leak is by looking for air bubbles coming out of the return jets. Another sign is air in the pump strainer. The pump strainer, in most cases, should be full of water and have no visible air. Pump lid O-rings are a habitual offender of air leaks. The O-ring can expand or deteriorate over time and allow air to enter the pump. You can try applying a silicone or Teflon lubricant to see if it helps, but often times it needs to be replaced. Plumbing fittings will also draw air. A popular technician trick is to use burning incense. While the pump is running, wave the burning incense near suspected areas. The smoke will be drawn in, if there is a leak. Check the fitting on the pump intake, the couplings and elbows. Cut out and replace any fittings that have an air leak. Valves can be inspected like the plumbing fittings. Diverter valves will usually have internal O-rings. These O-rings can easily be replaced to fix an air leak. Simple ball valves are not usually repairable and need to be replaced, if there is a leak. Drain plugs are found on most pumps. These plugs are usually used to drain the pump when a pool is winterized. They should be tightened firmly into the pump. Inspect the drain plug and drain plug O-ring. Replace them if they look decrepit. Pool owners often tell us that the pool pump pressure is too low. With low jet pressure, the cause could be a damaged or clogged impeller. The pump will need to be split in half in order to inspect the impeller. Dog hair, pine needles and other small debris are main culprits for a clogged impeller. Replace the impeller if the body or any of the veins are cracked. If the pump strainer is not full of water and an air leak has been ruled out, your pump may not be fully primed. With the pump off, remove the lid and fill the strainer with water. Keep the water running for a couple minutes. This will allow the pipes to fill with water. If you turn on the pump and it still struggles to prime, it could be an issue with the suction-side plumbing. Check out our article titled “How To: Fix Priming Problems In Your Pool Plumbing” for an in-depth look at priming problems. There may be a clogged suction side line if very little or no water is entering the pump. This will often occur if a leaf trap or vac plate is not used when vacuuming the pool. The clog will occur between the skimmer or vacuum port and the pump. A traditional plumbing snake will not usually work on pool plumbing, because of all the 90° turns. We recommend using an electrician’s fish tape or a drain cleaning water bladder. What is a high PSI? The general rule is that 10 PSI above the normal operating pressure is considered high. A high PSI reading should be addressed quickly. Damage to the filter, pump and plumbing can occur if high PSI is sustained. The predominant factor for high PSI and low flow is a dirty filter. Cleaning the filter will normally lower the PSI and improve jet flow. In order to clean, sand and DE filters need to be backwashed and cartridge elements need to be hosed down. DE grids and cartridges can be soaked in a filter cleaner to remove oils and grease that aren’t removed during normal cleaning. If the PSI remains high after cleaning the filter, the filter media may need to be replaced. By media, we mean the sand, DE grids or cartridges. Green Pool ✓ Cloudy Pool✓ No Flow✓ Customers frequently tell us that they clean the filter and 20 minutes later the PSI is high and the flow is poor. Then we ask, “Can you see the bottom of the pool?” and “No” is the consistent response. The reason the PSI is jumping up is because the filter is catching all that extra debris. The first step is killing the algae. The pool usually clouds up after this. The filter will need to be cleaned several times a day until the water is clear. The PSI should normalize once the water is looking good. Note: If the reading on the pressure gauge does not drop when the pump shuts off, it may be a bad gauge. The pressure gauge is inexpensive and very easy to replace. We addressed the most popular causes of pool jets not working. If you have any further questions regarding weak pool jets, visit us over at INYOpools.com. 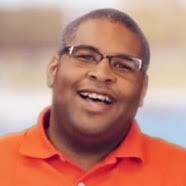 Please leave a comment and let us know what corrected your pool pressure issue. You’re welcome and thank you for the feedback! Great article and information. My pool works on waste, backwash and rinse, but it has very low presssure on filter and recirculate. Any ideas? Sounds like there is an issue with the plumbing after the filter. Regular and filter are the only settings are the only ones that send water back through the return to the pool. Have you checked blockages or closed valves? Cleaned the impeller and strainer basket but there is mo suction on the pump. Backwash works but when the pump is set to filter no water is getting taken in. It was working with our old motor about a week ago but then we replaced the motor because it kept tripping the circuit breaker. Thank you for contacting Inyo. Does the pump work if the filter valve is set to recirculate? Do you have a sand or DE filter? The inlet velocities through the orifice are too low in our in ground swimming pool. How do I increase the velocity? Smaller orifice ? Currently 3/4″ . Wha t is the calculation I can use for this flow in FPS? I have very little water coming from the suction side coming into the filter on all cycles: filter, recirculate, backwash and even waste! Do you think it’s a clog or damage to underground piping? Thank you for contacting Inyo. Part one of the article covers the common reasons why you would have low flow through the system. If you have ruled out all of those possibilities, then you may want to contact a leak detection company to come out and check the plumbing. I have only one return jet with low pressure. I’m assuming that means there is something blocking it. Hello Sharon – Look at the PSI reading on your filter’s pressure gauge. If the PSI is lower than normal, read Part 1 of the article above. If the PSI is higher than normal, read Part II. My pools been cloudy since opening. Pool guy said I need to get new grids for my DE filter. New grids installed, but it takes a while for it to prime, maybe double or triple the time from old grids. Also, jets work for the first half hour and then die off. I turn off filter, turn back on. Jets start up, but then die out between 10-40 minutes after restarting filter. Any advice? Hello Maryanne – What is the PSI reading on the filter gauge when the jets start to slow down? I have this same problem, my PSI reading is 26, thanks! Hello Bonnie – A PSI reading of 26 is pretty high. What type of filter do you have? Have you cleaned it? Does the pressure drop after cleaning the filter? I’m treating yellow algae with yellow & black magic & shock overnight. The PSI gets high & the flow on my return jet stops about 30-40 mins after backwash. Would it be ok to run filter on recirculate overnight to ensure the chemicals are properly distributed in the water? I have a sand filter. Hello Sue – Yes, you can run the filter on recirculate in order to properly distribute the chemicals. Hello. I am at a complete loss. I just replaced my Hayward sand filter with a new one. Same exact filter just needed a new one. When I turn the pump on the return jet has a nice strong output for about 10-20 minutes, then it slows to virtually nothing. I backwash the filter and then start it up again and it works fine for another 10-20 minutes and it is a never ending cycle. all of the baskets are clean. I don’t know what I could be missing. I should also add the the pressure gage is staying the same when I first turn it on to when it slows to virtually no return from the jet. It is not spiking or dropping. Although new, the pressure gauge may be defective. You should see some PSI fluctuation from when the filter is clean to when it starts to fill up and the water flow slows down. Make sure the water level is at least halfway up your skimmer door opening. Is the pool crystal clear or is it green/cloudy? Is there any air inside the pump strainer? The water is a cloudy blue. It was very green when we started this process so I thought that maybe that was why I was having to backwash constantly, but now as it starts to clear up I’m confused as to why it is still doing it. I have watched the pump strainer and I see no little air bubbles. I’m going to try the smoke trick to see if air is getting in anywhere because that is the only thing I can think would be the problem. Hi! A leak detection company came out Mon and found a leak in one of my jets. Yesterday they cut up the concrete and replaced the jet. After they left, it took 4 hours to fill the pool enough to run the filter. The 2 jets on the steps worked with excessive pressure but the new jet and the other one in the deep end are not working at all. I have called the leak company 3 times, I left a voice message last night and 2 today explaining the problem but they do not return my call. My psi is 18. It usually runs 10. My pool is clear. What could be wrong with those 2 jets. I will say I had no problem with the leak company who fixed the leak until after the work was done and the checks written. Hello Mae – If you and someone else can cover up each of the working jets with your hands, see if the non-working jets begin to flow. If they do not work, my guess is that the leak detection company capped those lines. They need to come out and correct that problem or I would stop the payment on the check. We tried that and it didn’t work. See my update above. We found out someone had mislabeled the shut-off for those 2 jets as well as a couple of other things with a sharpie. I think we are straightened out now! We just bought this house last year so the inground saltwater pool is new to us and we are still learning. Thank you for the reply! I really was considering a stop payment on the check. We’re glad that your issue was resolved and that it was a simple fix. We hope you enjoy the rest of the summer! Update – I called again this a.m. and was able to reach the tech. They had accidentally left the 2 jets turned off. Once those jets were turned on, the psi dropped to 14 which is fine, although a little high. We have replaced the salt and all the chemicals to balance the pool. (We took a sample in and had it analyzed) In 48 hours we can do a quick backwash and rinse and the psi should return to normal. I saw bubbles this morning and now jets aren’t working. Ideas?? Hello LaRonda – We have several ideas for why your jets are not working. Part 1 of this article should have a solution to your problem. I haven’t got a straight answer from our pool contractor yet except he said we need to find som”extenders.” Not sure what that means. We have a spa seperate of the pool and it heats but no air bubbles. No jets work. It’s all brand new. The spa is 60 ft from the pool house pumps, heaters and filters There is an air intake pipe coming out from under the spa about six feet away from the spa underground and sticking up above the spa height. The contractor said normally the air intake is right next to the tub but it makes a lot of noise and wanted ours to be quiet and away. Now there is no air. I keep asking for it to be fixed and it seems they are dragging their feet for some reason unbeknownst to me. Hoping you could share some of your expertise as to why this all may be happening. I’m a layman and just trying to understand what the issues are. Oh sorry. I meant to put my name in. Above. It’s Mike from Northern California. Hello Tanya – You’ll probably need to backwash the sand filter several times a day until the pool clears up and the PSI stabilizes. Backwash the filter each time it rises 10 PSI above the clean starting pressure. I would also recommend trying a product by Natural Chemistry called Pool First Aid. It will clear up the pool and free the filter of any oils and non-living organic build-up. 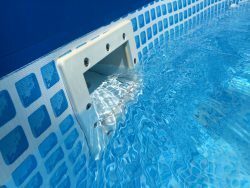 We have a fiberglass pool and spa with no equalizer line connected between them. We thought we had a leak because we were losing water so fast when pump is running. So the spa has been off for two months. Got tired of chasing the leak because nobody can find it so we filled the spa back up and now have weak jets. When the air blower is turned on only 3 of six get bubbles. If you do see any obvious wet spots above ground then the leak may be underground. The usual spot is the main drain, it’s sump or return line. Generally, you won’t be able to tell unless you dig down to inspect those suspect spots. Just replace the pump, now only one jet is working. Did you purge the system of air after replacing the pump?